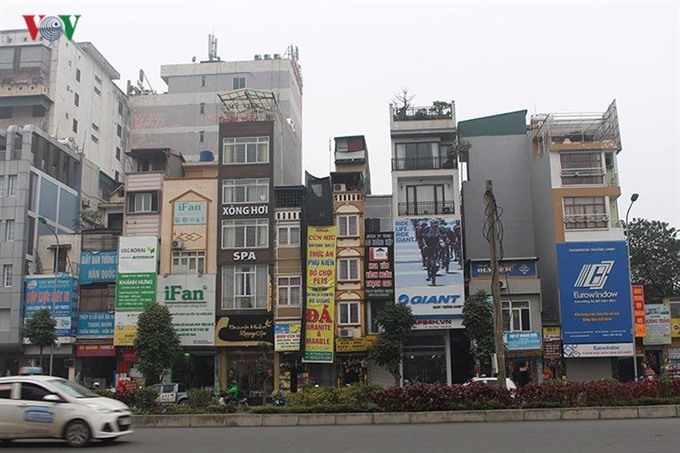 Vietnam is known for their extremely narrow and tall houses, this happened due to a former property tax based on house frontage (similar law did existed in Netherlands in 16th-18th centuries). People build houses as narrow they could, deep and tall. 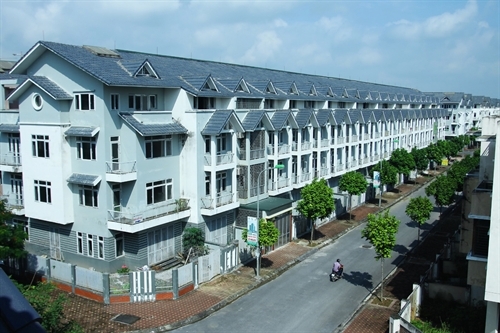 Originally intended for one family, many houses have been rebuild taller and owners are renting part of their houses to additional families due to rapid urbanization and housing shortage. Today in city center the houses average 3 meters wide, 10 to 30 meters depth, and 3 to 7 floors, they are known as “tube houses” or “rocket houses”. Even if the stupid property tax law was abolished (does any one know exact year? 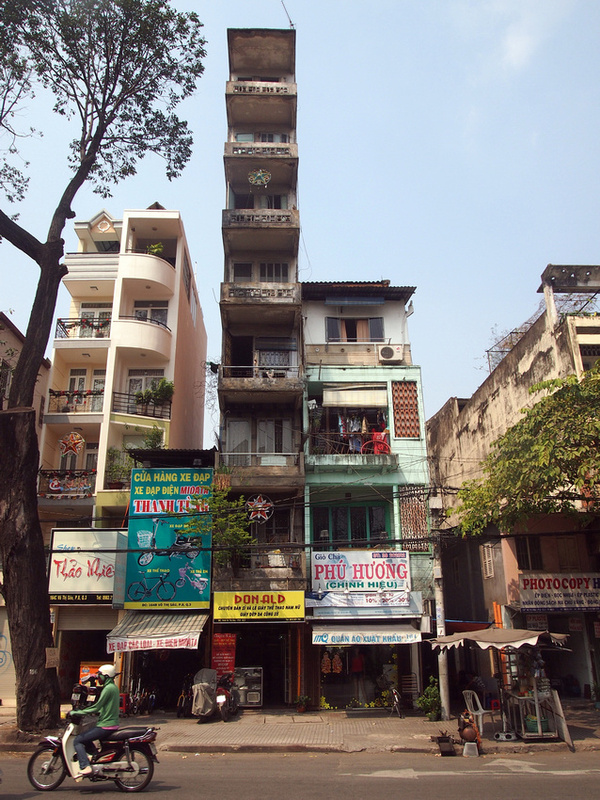 ), new property developers continue to build narrow and tall houses but not so extreme like above photos. New houses are mostly 5-6 meters wide and 3-4 floors. Houses are built closely to railway, residents using railway as the path to get into their houses. Reminds me of a market in Bangkok that settled on train tracks. First Indochina War lasted from 1946 to 1954, partitioning the region into 4 countries: North Vietnam, South Vietnam, Cambodia and Laos. Vietnam War between North Vietnam supported by Soviet Union and China, and South Vietnam supported by United States and other anti-communist states, lasted from 1955 to 1975, is estimated that 966,000 to 3.8 million Vietnamese people were killed, with additional causalities of Cambodians, Laotians and US soldiers. Vietnam reunification came in 1976 making Socialist Republic of Vietnam. Being a communist country, saying bad things against government can put you in jail. The government have power to take out your property and give little compensation. The press is controlled by government and there is a propaganda of fake news to hide poverty and other bad stuff, and give impression that everyone is doing well. 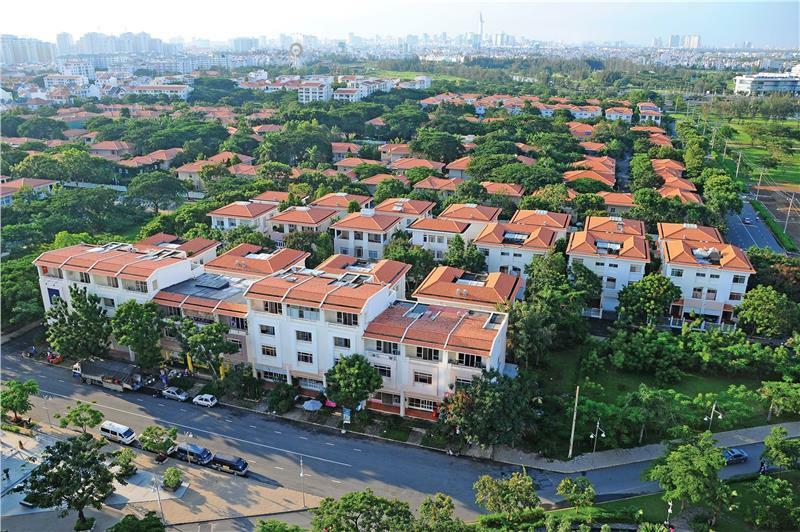 Thanks to the economic reforms from 1986, Vietnam economy started developing rapidly. 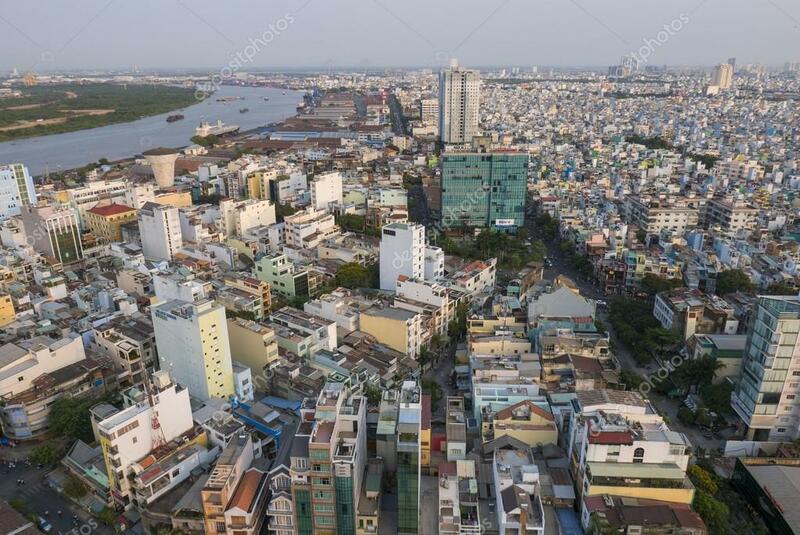 From one of the poorest countries in the World with per capita income below US$100 per year, Vietnam is now a lower-middle income country with per capita income of US$1,910 by the end of 2013. Population living under poverty line decreased from 58% in 1993 to 12% in 2011 according Wikipedia. 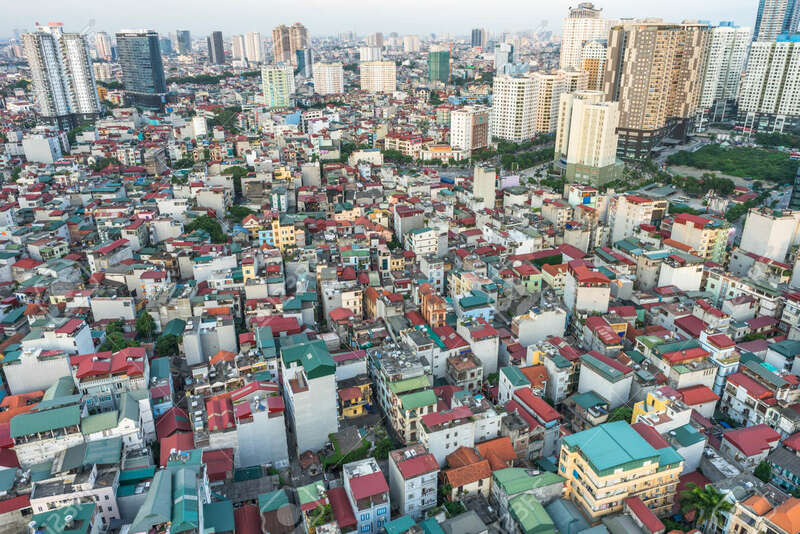 Vietnam population was 85,846,997 people at 2009 census, of which only 29.6% are living in urban areas. There is still a long way until Vietnam will become a developed country like China, Malaysia, etc. Before 1995, tallest building was just 60 meters tall. Saigon Trade Center, 150 meters tall was the tallest building in Vietnam from 1997 to 2010. Since 2000s numerous skyscrapers were built, tallest being Landmark 81 completed in 2018, 461 meters tall, being 14th tallest building in the world. 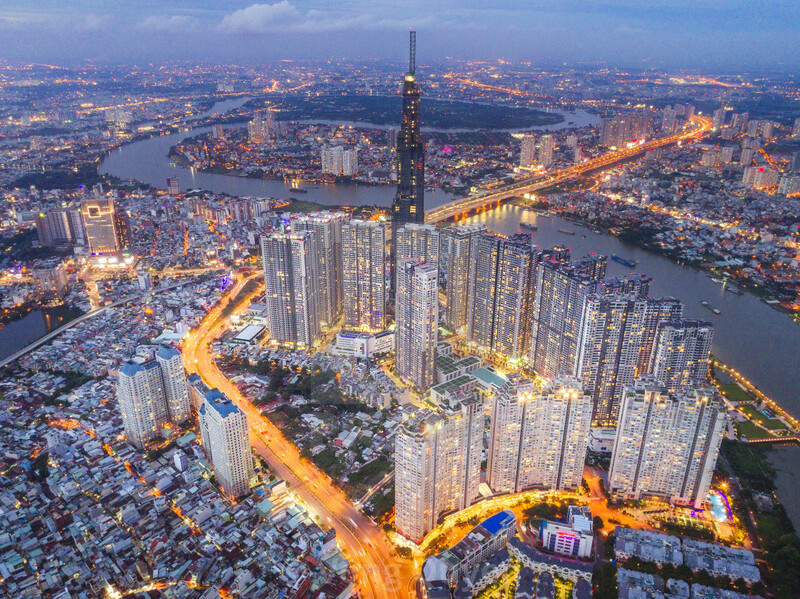 Read more: List of tallest buildings in Vietnam. With 8 million people in Ho Chi Minh City and 7 million people in Hanoi, and no rapid transit systems, traffic is a hell. Vietnam is one of the few countries in the world where number of bikes is far higher than number of cars, consequently many streets are just 2-3 meters wide. Only wealthy people own cars, and government put a tax of 200% on cars to keep their number low (source: hoianfoodtour.com. Government proposed a metro system only in 2001 for Ho Chi Minh City. Ho Chi Minh City Metro was planned to start in 2008, but due to funding issues, construction started in 2012 and first line is expected to open in 2020. 6 lines are in project. Hanoi Metro started construction in 2010 and first line is expected to be operational in 2019. 8 lines are in project. Page published for first time in 2019 and updated with more information over next years. Do you have useful information that worth adding? Did you found an error or have a contradictory opinion? Leave a comment!